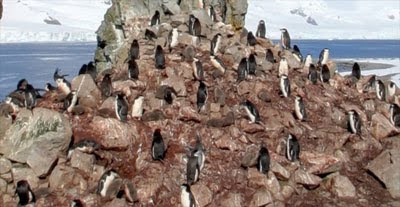 Google today added Street View imagery to the Republic of Ireland, Brazil and a tiny bit of Antartica. The coverage in Ireland seems to be pretty comprehensive. 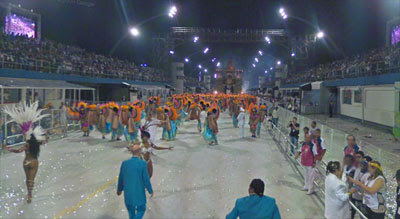 In Brazil the imagery seems to be concentrated in Rio de Janerio, Sao Paulo and Belo Horizonte. 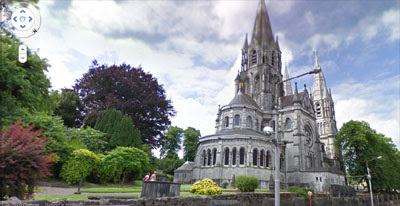 Today's release of Street View in the Republic of Ireland contains some great imagery. I've started playing with Directions Map to create some virtual tours. 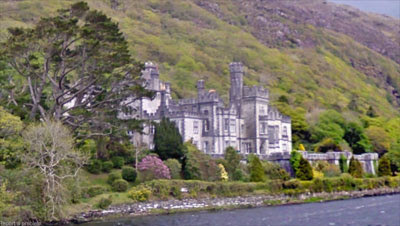 Here is a little scenic tour from Narran to Drumboghill in the north east of Ireland. Press 'play' to start the tour. Launched only yesterday Geomium has quickly gathered a lot of favourable press. Geomium is a new location based service for the iPhone that uses data from Yelp, Qype and Eventful to show you where your friends are located and events that are in your current vicinity. Using Geomium you can view location information and reviews displayed on a Google Map and also see where your friends are right now. Geomium shows you where people are, you can view the location of your friends and you can also view the locations of other Geomium users. Geomium also shows you the places that are near by. Using the application you can find the best bars, restaurants, and cafes around your current location. You can mark your favourite places and you can also check-in to places, and see who else has checked in. Geomium lists all kinds of events, including theatre shows, festivals, concerts, and parties. You can browse through all of the events, or filter by type and date. You can use Geomium to let your friends know you'll be attending an event, and see who else will be going. The application also offers localised deals, including discounts at bars and restaurants. Currently Geomium is only available for the iPhone but support for other mobile platforms is in the pipeline. Arek of All Things Spatial has written a great review of a route planning application for NSW, Australia. Here is a slightly truncated version on Arek's review. You can read the review in full on Arek's blog. The Road Traffic Authority (RTA) in NSW has started publishing up to the minute information about traffic conditions in Sydney as well as in the greater NSW regional area. The site uses Google Maps to provide an excellent route finder that highlights any road works or hazards on a journey and allows the user to reroute to avoid any potential delays. The live traffic conditions displayed on the map are refreshed automatically and the update time is clearly marked. Auto update can be turned off if required and users can customise the list of information displayed on the map. Live updates include information on accidents, scheduled road works, major events, fires, floods and Alpine conditions. There is an option to add a traffic flow overlay for Sydney as well as the locations of live traffic cameras and temporary message signs. The map also comes with a comprehensive list of points of interests that are very handy for planning a trip. These include: bike parking areas, heavy vehicles checking stations and rest areas, locations of Safe-T-Cams, general rest areas and RTA Motor Registries. Travel routes can be filtered to avoid incidents or road works on specific dates and can be saved for future reference. Overall, this is quite a comprehensive information source, with an attractive multi tab design and extensive range of features. ShowMe Maps allows users to create their own maps/directories with Google Maps and Google Street View. Using ShowMe Maps users can can create a Google Map with a number of locations, all of which can also be viewed using Street View. The maps can contain up to four categories of map marker which can be accessed by drop-down menus. 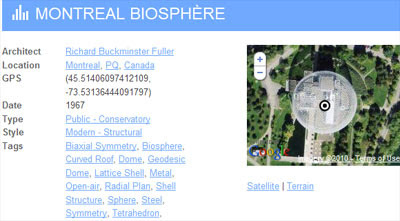 Maps created by users all have a unique URL, as well as titles and a description field for each location. Maps can also be added to www.ShowMeWORLD.com which allows others to find and view the maps. To create a Street View ShowMe map you just need to use locations where Google has generated Street Views. 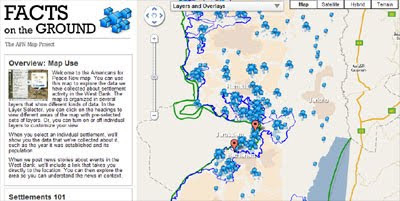 Once you have created a map there are options provided to include a link from your existing website or you are free to create custom links to your map. Samples of existing ShowMe maps include the Town of Bridgewater, the Town of Lunenburg and Universities of Canada. 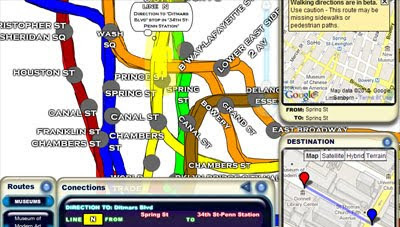 Subway Path Finder is a Flash based route finder for a number of subway systems around the world. Currently the application works for LA, New York, London, Paris, Berlin, Barcelona, Madrid, Moscow, Tokyo and Mexico City. To start using the application you first need to select which city's subway system you want to use. Once you have selected a city a map of its subway system will load. You can now select any of the subways stations as your starting point and destination by simply clicking on any of the stations displayed on the map. Once you have selected the route an animation will play showing your route and any changes you need to make on the journey. Two Google Maps are also displayed to show your starting station and destination station on a street map. The application also comes with the option of getting a route from any location to museums, restaurants, theatres, nightclubs and hospitals. When you choose to view a route to any of these points of interest the Google Map also shows you your walking directions from the nearest subway station to your choice of museum, hotel etc. Americans for Peace Now are using Google Maps to display the data the orgainsation has collected about settlement activity in the West Bank. The map contains several layers, that can be selected from the Layer Selector. The layers include the West Bank Barrier, the Israeli Municipal Jurisdiction and the Palestinian Residential Areas. If you select an individual settlement you can view the data that the Americans for Peace Now organisation have collected about it, such as the year it was established and its population. The map also includes a few news stories posted by Americans for Peace Now. The news stories include links that you can click to read the story in full elsewhere on the site. Can you create the best Street View tour? Today's task dear reader is to create the most scenic Street View tour with Directions Map and post a link to your tour in the comments below. If you need a directions widget for your business, school or college you could do a lot worse than embed a free Directions Map widget on your website. 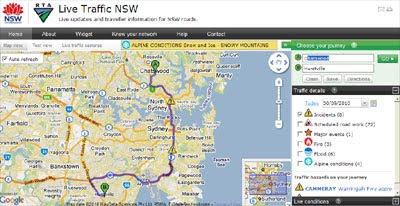 Directions Map uses Google Maps to help users create an embedable driving directions map for their website or blog. The really fun part of this Google Maps based widget however is that it also allows you to create animated Street View tours. If you just add a starting point and a destination to Directions Map you can then view the route entirely in Street View. 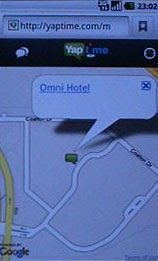 Directions Map allows users to create driving directions from any starting point to any location. Users can also define the height, width and the map type of their widget. Once the widget has been embedded on a website it can then be used to follow the given driving directions or to view an animated walk-through of the route in Street View. 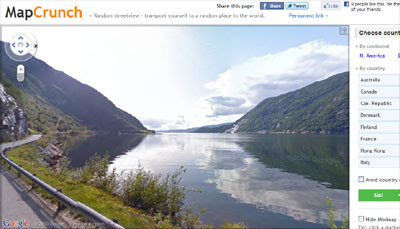 The animated walk-throughs of routes with Street View are very impressive. Given the impressive nature of these Street View animated routes I can see Directions Map also being used by websites to create virtual tours. In fact Directions Map has created a number of example animated Street View routes for locations around the world. Because Directions Map uses dynamic URL's you can even play about with the web address to quickly create your own routes by changing the start point and destination in the URL. If you want to view a Street View animation of the route from New York to San Francisco just change 'Boston' to 'San Francisco in the URL above. So what routes can you create. Post links to your routes in the comments below. Update: microformats.dk has quickly created a page combining a Directions Map Street View tour of the Alpe d' Huez with a Kraftwerk YouTube video. Superb! PixyCity is a new location based service using Google Maps to share and discover local news and events. PixyCity uses Google Maps to create city communities where people can meet, talk and inform others. PixyCity is crowd-sourcing this local news and event data and uses Karma points to encourage user contributions. For every event or news item added to PixyCity users earn 'Karma points'. Karma points can then be used to buy poster and billboard space on PixyCity to advertise an event, website etc. Using PixyCity you can save a location as your 'home' and you can define the area that you wish to view news and events for by using the map zoom controls. How Far Can You Afford to Fly? Destmapper uses Google Maps to show you how far you can fly on a specific budget. The map uses flight cost data from adioso.com. On first loading the map determines your location and begins to load the destinations you can fly to from that location for under $189 (prices are displayed in New Zealand dollars). Users can then increase the cost of flights that they are prepared to pay for by using a slider control. As you increase the cost of flights more locations will be marked on the map. You can also load different price-range locations on the map via a number of quick links. The markers displayed on the map are even colour-coded by the price range of flights. 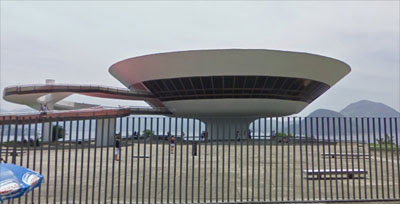 The World Architecture Map is a database of architectural information that uses Google Maps to show the locations of architectural interesting buildings around the world. It is possible to search for buildings on WAM by location, building type, architectural style or by tags. Searching by location it is possible to view architectural maps for individual cities or by country. If you click on a building's map marker you can click through to a dedicated page about the building containing information, links and Flickr photographs. WAM includes the option to submit a building to the site by completing a short form. If you work in, are studying or are just interested in architecture you can help to improve WAM by adding buildings to the database. The Guardian newspaper has used Google Fusion Tables to map every bus stop, train station, ferry port and taxi rank in Britain. The map uses newly released data from the UK's National Public Transport Data Repository. The map itself is very basic but it does let you find all the public transport stops for any location in the UK. The map is also a great demonstration of how a Google Map using Fusion Tables can handle a huge amount of data. The map plots more than 400,000 locations without any marker clustering and copes reasonably well. The Guardian have also completed some analysis of the data, comparing it to population data to work out the number of bus-stops per 100,000 people in different locations in the UK. The Guardian's analysis reveals that London has relatively few bus-stops (for the population size) and that the Western Isles in Scotland and Gwynedd in Wales are very well served. The Ocean Mapping Group of the University of New Brunswick has created a bathymetry map for the Arctic. The map overlays a number of bathymetry layers of the region over the Google Maps base map tiles. 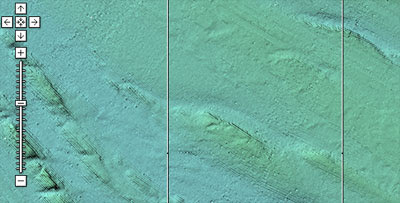 The transparency of the bathymetry layers can be adjusted using a slider control or can be turned on or off via a check box under the 'satellite' button. It is possible to download the data by clicking on any of the layers. If you click on a bathymetry layer an information window opens with a link to download the data. 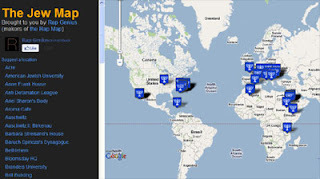 Robberymaps is a Spanish language crowd-sourced Google Map showing the locations of robberies around the world. The site was launched in Barcelona and most of the user submitted reports of robberies are still submitted from the city. At the moment then the map is most useful for people who live in Barcelona or are planning to visit. The map is full of useful user submitted information about areas of the city that you should be particularly careful. Barcelona is fairly well known for its gangs of pickpockets. This map could therefore be very useful if you want to find out the latest areas that the gangs have been seen operating in. The creators of the popular Rap Map have now turned their attention away from music and towards religion. They say they have built the Jew Map out of love for Jewish history and also to impress their mothers. The map shows the locations of important landmarks in Jewish history from the Red Sea to Katz' Delicatessen in New York. The map also includes the option to 'suggest a location' by completing a short form. The Jew Map is the first of a number of historical maps from Rap Genius. There are plans to release The Black Map (a map of black history/culture) and the Cold War Map soon. The 54th Coupe Aéronautique Gordon Bennett International Gas Balloon Race got under way today, starting in Bristol, UK. All the competitors in the race have been fitted with tracking devices and you will be able to follow the race in real-time on a live Google Map. Once the race has been started the balloons will be shown on the live tracking map with balloon map markers. If you click on any of the markers you will be able to view its current position, the distance it has travelled and its current speed. The Geospatial Revolution Project is a public service broadcasting series from Penn State exploring the potential future of location-based technologies. Episode one of the season has now been released. The first episode covers the evolution of geospatial technologies and the use of open source mapping in the Haitian earthquake relief efforts. Future episodes in the season are due in November, February and March. This week the American media has been full of the story of the missing Florida town, Sunrise. For at least a month this summer Sunrise simply disappeared from the map. At least, it disappeared from Google Maps. One moment the town was there for all the world to see and the next moment it had disappeared. Sunrise no longer appeared on Google Maps. Now the American media have been having a lot of fun with this mapping error, just as the BBC have been having fun with the issue of the phantom town of Argleton appearing on Google Maps in the UK. Lots of explanations have been put forward for these mistakes, from simple administrative errors to sneaky copyright traps. However no-one seems to have made the logical conclusion of looking at both of these cases together. For me the clue to these errors is in the name 'Sunrise'. Sunrise, as you are aware, is essential the light of the sun becoming visible in the morning. At the quantum level of reality light photons behave with indeterminacy. Therefore we are unable to predict the final location of any single light photon. 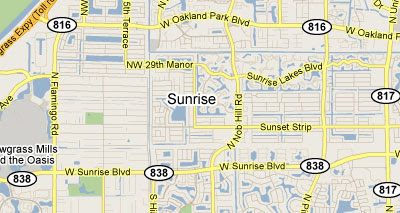 So clearly due to quantum mechanics the town of Sunrise will sometimes appear on Google Maps in Florida and at other times it will appear in the UK, as the town of Argleton. Other evidence of how Google Maps behaves at the quantum level can be seen in Street View. 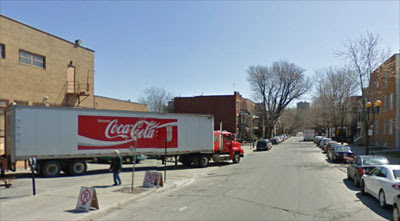 In Montréal Google has caught two successive images of the same truck delivering cola to a store. 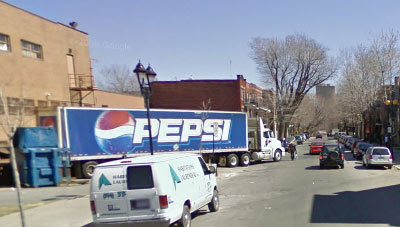 In one image the truck clearly appears as belonging to Pepsi Cola. However if you progress along the street in Street View for one frame the same truck suddenly appears to belong to Coca Cola. Clearly evidence once again that Google Maps behaves with indeterminacy at the quantum level. I must point out however that physics has never been my strong point and I could well be wrong in my calculations. The Google Street View trike today started gathering off-road imagery in Denmark. Google use the Street View trike to gather Street View imagery in places where the Street View cars cannot go. 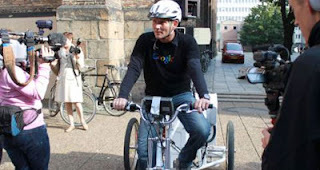 Google have worked with VisitDenmark, Denmark's official tourism agency, to decide the locations the trike will visit. One location that the trike visited today was the Rundetaarn in Copenhagen. You can see Google's trike cyclist valiantly struggling to pedal up the spiral ramp of the tower on this shaky YouTube video. Danish website Version2 have created a nice gallery of 18 photos that they captured of the trike today. Yaptime is a new Google Maps based group texting service that lets you send and read messages from people within 100 feet of your location. The application is aimed at mobile phones, with iPhone and Android applications coming soon. For now you can access Yaptime from your phone's browser by visiting http://www.yaptime.com/m. Once you access Yaptime from your phone you need to share your location and enter a user name. You can then choose to set up a chat room at your location or view current messages being posted around the world. If you choose to set up a new chat room you can then start posting messages from your location. Yaptime see the application being used by people at events, such as football games and in venues, such as bars and cafes. The application allows users to start chatting anonymously with people in their immediate vicinity. I can certainly see this being popular especially if there is some effort to publicise a Yaptime chat at a particular event or venue. For example, conference organisers could encourage attendees to log-in and chat about the speakers / event using Yaptime. Skobbler is a German Google Maps based application for the desktop, iPhone and for Android phones. Skobbler lets you search and save locations and places, create tips for locations, add photos, and rate venues. The Skobbler website allows you to search for local listings on Google Maps. For example you can search for pizza in Berlin and view the locations of Berlin's pizza restaurants on a map. If you click on an individual listing you can read reviews, user ratings, view uploaded photographs and get directions to the venue. Skobbler encourages user contributions with a 'local hero' rating system. If you contribute the most locations, comments and ratings in a neighbourhood you can earn yourself a coveted local hero status. 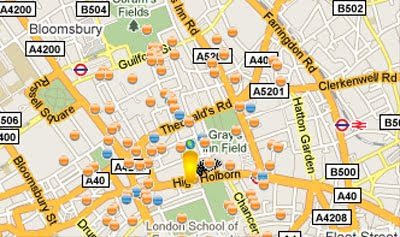 Skobbler has even provided a Local Heroes Google Map to help you search for the local hero in your neighbourhood. Maporado is a German map search and route planning website that is integrated with Google Maps, Bing Maps, Open Street Map, Navteq and Yahoo Maps. 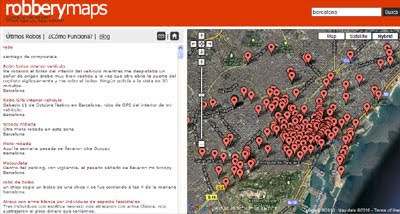 Using Maporado you can search for a location and choose on which map provider you would like to see the results. If you want driving directions you can use the route planner to set a starting point and destination. Once you have selected these you can then choose between a large selection of route planning services. So, if you are very picky, you can view your route as suggested by different online map providers and choose which you think provides the best directions. This Google My Map has been created to provide a virtual protest against Google's plans to launch Street View in Germany. Some Germans are so opposed to the idea of images of their houses appearing on Street View that they have added photos of themselves standing outside their houses and posted these photos to the map. If you are really opposed to Street View you could even take a 360 degree panoramic photo of yourself and post it to the map. If you got a few of your neighbours together you could even create a series of panoramic photos for your street. If you then linked these together with hyperlinks you could create an amazing virtual protest that allowed viewers to virtually walk down the street. I even have a name for this innovation: 'View Street'. I wonder if it will catch on? I love this map project created by pupils at the Fox Primary School and the Kensington Palace Education team in London. Using a hand drawn map of Kensington Palace as custom map tiles the team have created a unique Google Map which has been populated with work from students at Fox Primary School. The pupils have created map markers for the map to explain the history behind the park's buildings, public spaces, road names and to explore the lives of famous people that have a connection with the Palace. 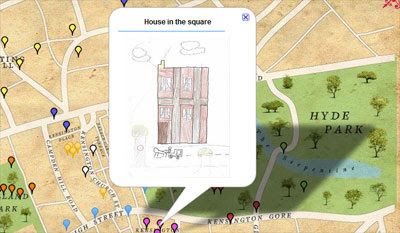 If you click on a map marker you can view the pupils' work illustrated with their own hand drawings. This is an inspired idea to teach local history to young children with the added bonus of teaching them a little about cartography in the process. Google have added the Elevation service to the Maps API for Flash. Maps API for Flash developers can now add elevation profiles to their maps. As an extra bonus the service comes with a cool 3D twist. 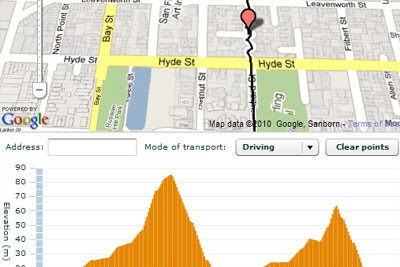 The Google Geo Developers Blog has a great example of the elevation service being used with driving directions. In the example you can see the 3D feature in action. If you mouse-over anywhere on the elevation profile the map will zoom to your location and rotate the map to face the direction you should be facing if you are following the directions. Twittelp argues that if Superman really existed then he would use Twittelp to find real-time updates about people asking for help. Personally I think the site would appeal more to Batman as a 21st Century replacement for the Bat-Signal. 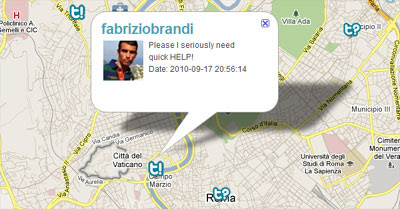 Twittelp is a Twitter and Google Maps mashup that provides Twitter users a quick way to ask for help from their followers or the wider twittersphere. Using the map people can discover who needs help at a specific location. They can then help or retweet the request to increase its visibility. Twittelp is currently available as a an iPhone/iPod application and will soon be available on Android phones as well. The descriptions on Twittelp suggest that the application is being aimed at people who need help in an emergency situation. I can't help feeling that this could be a mistake. In emergency situations people are more likely to (and should) call the emergency services instead of using Twittelp. However I'm sure Twittelp could find market share as a platform for more general requests. It could be a great platform for asking for general help. For example, for asking for help in moving house, completing a task, designing a website etc. Gowaza let's you plan a trip, helping you to find flights and hotels and also helping you to create an itinerary of restaurants, events and other places to visit. Once you have entered your destination and time of travel Gowaza presents you with a choice of hotels, restaurants and events. Gowaza uses Google Maps to display the locations of all the options in each category. As you browse the listings you can click on the 'add to folder' button to add a location to your itinerary and to the map. Gowaza provides seamless integration between your personalised itinerary and the Google Map. If you click on a location in your itinerary the map will centre on that location. You can also use a local search option to find other destinations, such as 'banks, 'bakeries' etc. In April Google created a website to show the number of government inquiries around the world for information about users and requests for Google to take down or censor content. Google have now updated their interactive Government Requests Map with data from the first six months of 2010. To view Google's data for each country just click on the country's map marker. An information window will then open outlining the number of data requests Google received from that country, the number of removal requests and the number of removal requests complied with. The USA, Brazil and the UK are clearly leading the way in asking Google to remove content. BBC Radio 4 programme Punt PI this week investigated the mysterious town of Argleton on Google Maps. 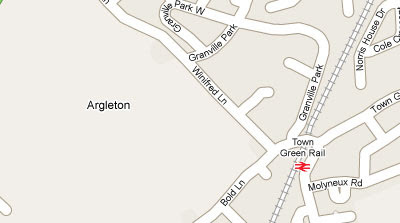 The town of Argleton used to appear on Google Maps even though there is apparently nothing there apart from a field. The town name has actually been removed from Google Maps now. However Google cannot hide this phantom town that easily. In fact if you hover Pegman over the field where the Argleton placename used to sit you can see a number of user submitted photographs of Argleton. In his radio programme for Radio 4 Steve Punt discovered more phantom locations on Google Maps. 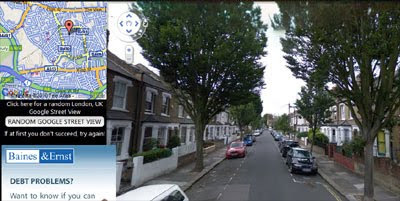 For example, here is the map and Street View of Torrington Place, Finchley, London. Google Maps shows Torrington Place as a right turn at the end of Arcadia Avenue but Street View shows Arcadia Avenue to be a dead end. Also in Finchley is Moat Lane. Moat Lane is shown as a left turn at the end of Clandon Gardens but again Clandon Gardens in real life is a dead end. Google Maps phantom locations in the UK don't end there either. There is Penworthamdale, that Google shows to be in Penworthham - but doesn't exist as a place name anywhere else. There is Mawdesky (near Mawdesley) - another figment of Google's imagination. Finally there is the most imaginatively named Dummy1325. This is another phantom location that Google Maps has now deleted but thanks to our friends over at Google Sightseeing we can show you this screenshot from 2009. So, do you know of any other phantom towns that show up on Google Maps? Google have teamed up with Cook, Rothenberg, CQ-Roll Call and RealClearPolitics to create a Google Map to display the current ratings of the Democrats and Republicans in the midterm elections. The map uses Google Fusion Tables with the Google Maps API v3. Google have even provided a tutorial to show you how you can build your own similar intensity map with custom boundaries. 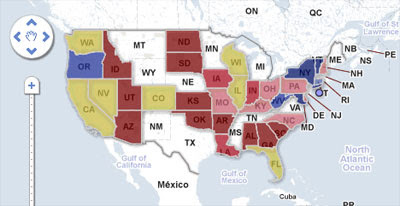 The states are shaded on the map according to one of the sources’ ratings of the Senate race. If you click on the sidebar links you can switch between the House or Governor races. The data on the map will be updated daily based on the latest ratings. Kollektivt.se is a Google Map showing the real-time location of buses in Malmö, Sweden. The map and an API were developed in just 24 hours at the Codemocracy open data hackathon in Sweden. 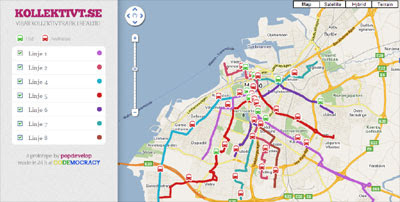 Using the map it is possible to select any or all of the city's bus routes and to view the locations of all the city's buses in real-time animated on the map. Kollectivt.se have also created an API that allows third parties to retrieve the location data of buses in central Malmö. "I didn't know what was happening! I thought it was a bad dream or that a giant was under our house shaking it wildly! It was hard to get to the doorframe. We stumbled from side to side, it was almost like slow motion running because our floor was moving all over the place! First the house moved crazily from side to side then it started rolling like a bowling ball rolling down a bowling aisle." New Zealand news website stuff.co.nz has created an incredibly moving Google Map to record and map readers' stories about the recent earthquake in Christchurch. 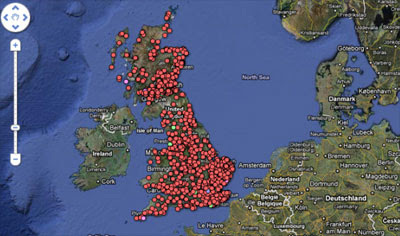 Currently the map shows over 400 stories. To read one of the reader submitted stories just click on the categorised markers on the map. These first hand accounts really help to convey the affect that the Christchurch earthquake has had on the city and its people. Stuff.co.nz Post Quake Services - map of post-earthquake services available in Christchurch. This Spanish language taxi fare calculator uses Google Maps to help you work out the likely cost of a taxi journey in a number of cities around the world. Currently the map works in Santiago and Valparaiso, Chile, Buenos Aires, Mendoza and Cordoba, Argentina and in Madrid and Barcelona in Spain. To set your starting point you can click on the first green map marker and then on the map. Then click on the second map marker and then on the map to set your destination. You can also use the text input areas to add your starting and finishing point. When you are happy with your journey the map will show your route and the likely cost of your taxi journey will be displayed in the map sidebar. This Athens Taxi Price Calculator makes good use of the Google Maps API's Styled Maps option to create a night map for the Greek capital. To use the calculator, simply right-click on the map to specify your starting and destination address or use the input fields in the left hand side menu. 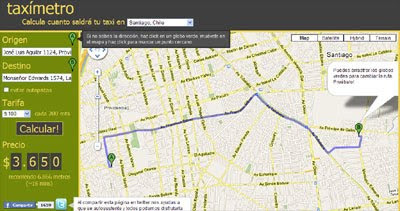 The route of your journey will then be displayed on the map and the estimated taxi charge is displayed in the map sidebar. The costs are calculated according to the most up to date laws (2010) and include a full itemisation of charges you can expect from your taxi trip. The charges also include the 11% VAT introduced for Athens taxi services in July. Here's a little Google Map I created today to show the meaning of the names given to each of the states in the USA. The origins of the names of U.S. states have been taken from this Wikipedia entry. As fun as it is to read the meaning behind the names for the U.S. states the map is really a demo to show how you can use the new Styled Map option in the Google Maps API to remove the name labels from Google Maps. Removing the labels with Styled Maps is easy enough. It is just a matter of turning off the visibility of options in the administrative layer. However once I'd removed the names from Google Maps I then had to figure out how to add my own labels. Luckily Marc Ridey has written an excellent Label class for Google Maps V3. If you have a look at the example I've created you can see my design isn't very pretty. The next stage is to play with the font weight and font size to create something a little easier on the eye. Video, Weather & Google Maps! Do You Know the One-Legged Bomber? You Kill It, We'll Map It! Interactive Video Coming to Google Maps?